Light and lacy chevron pattern, that works up effortlessly. Hat and booties added for the perfect baby gift set. Where do we find the pattern? This is just lovely! Do you have a pattern? Is the pattern available for purchase? 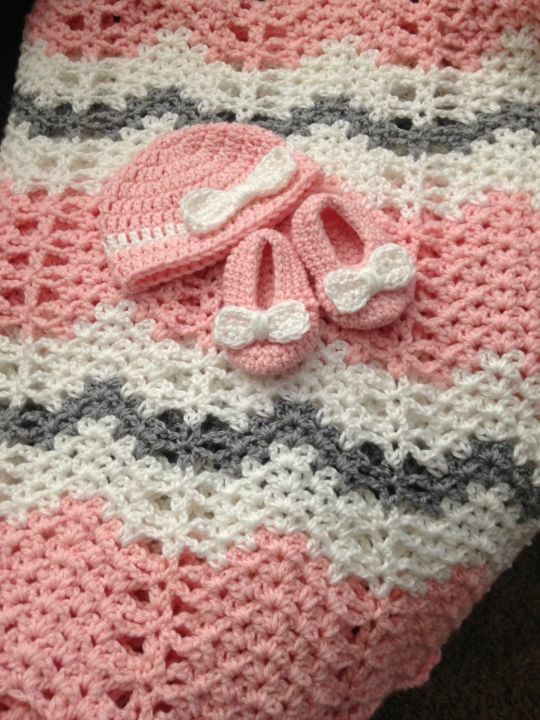 Where can I find the pattern for the hat and booties?